It’s true that we have a soft spot for all things Brown, with Em being up there almost 9 months of the year, but we’ve also been fans of the year-old Granoff Center on campus, designed by DillerScofidio+Renfro, since its opening. 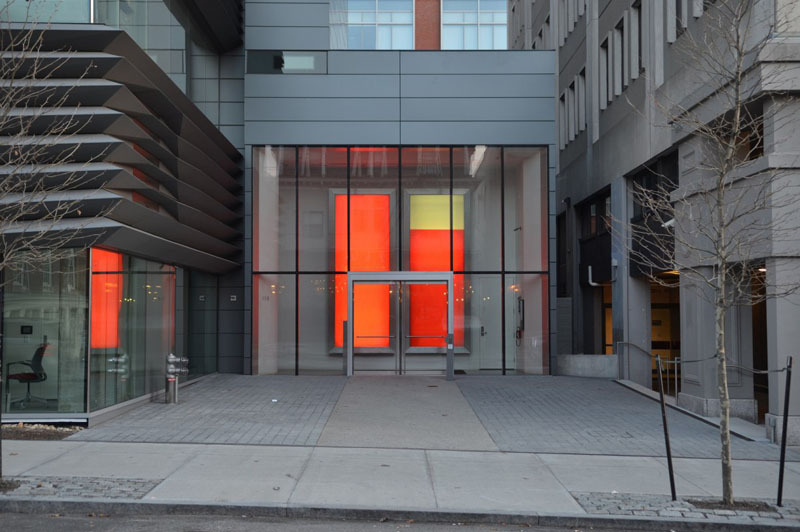 And now, I came across the permanent kinetic light installation titled 2×5 (Brothers) by, ironically enough, the two brothers at Berlin-based firm Realities United, which hangs at the entrance of the building as of last month. 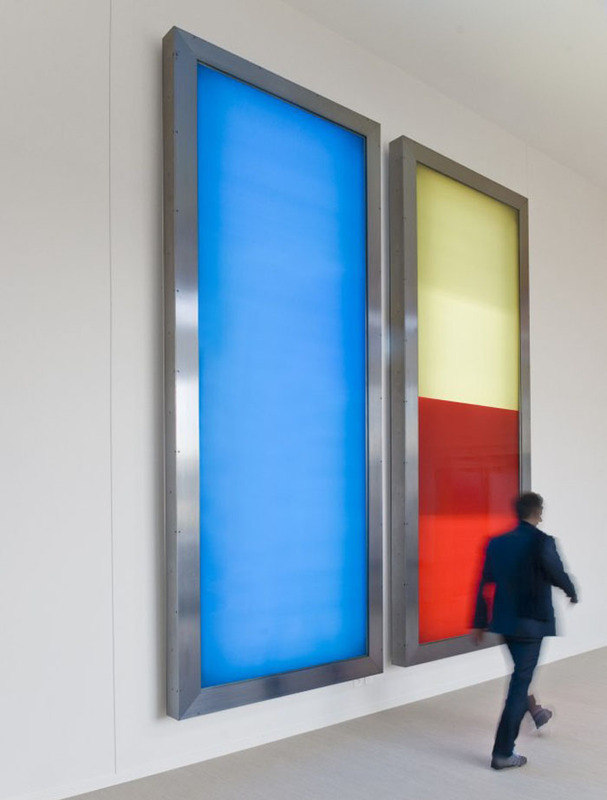 This colorful installation just adds an extra ‘like’ to all of the above; a little Rothko meets Albers meets Turrell rolled into one that has been beautifully integrated with the window panes and doors of the main ingress. 2×5 is a time-based work with two identical casings containing poster scrollers with full-surface monochromatic colored prints on stretched fabric illuminated from behind. At the beginning of the academic year, the machines tend to both show the same color equally intensely backlit, and the changes are usually fundamental, i.e., from one color entirely to another. In the course of the year, the probability increases that the two machines will show behavior independent of each other. Then the spatial experience is shaped by up to four different colors of differing intensities at once. With two to four changes per day the frequency of the change is so low that visitors initially experience the installation mostly as static in the respective configuration. You can see more of Realities United’s work, such as the very cool Bix/Kunsthaus Graz and the more recent mirror installation Transreflex, at their website.